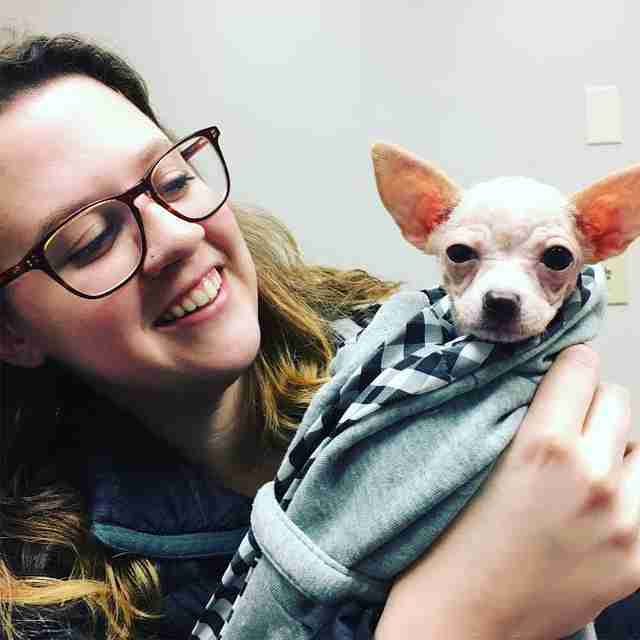 The second Amanda Harris saw a picture of little Pippa, she rushed to the Atlanta Humane Society to pick her up to foster her. Pippa had just arrived at the shelter with her mom, dad and brother — but the little 7-week-old puppy was the saddest of them all. She was completely hairless, sore and covered in scabs. 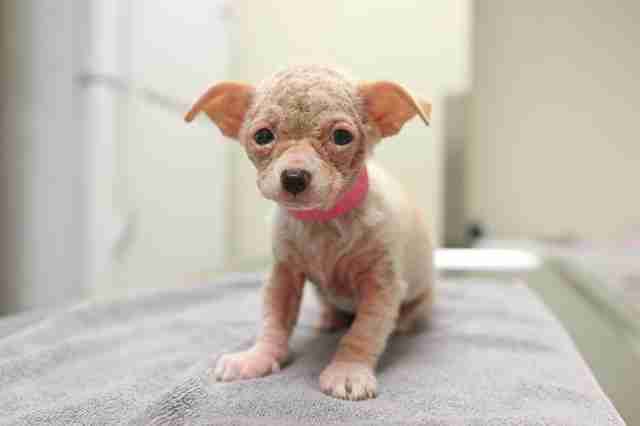 The whole little dog family had mange, but she was in the worst condition. Pippa’s body looked so fragile — but all she wanted to do was cuddle. Harris took the little pup home with medicine and spent time with her around the clock to help her heal, and she was so surprised at the huge personality the tiny dog had. Even though Pippa’s skin was so itchy and painful, she still loved snuggling. 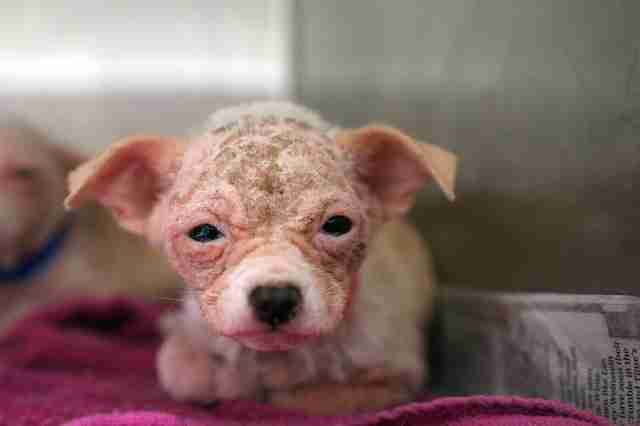 Harris’ loving care made all the difference, and after only a few days, the puppy’s skin was starting to heal. Weeks passed, and her irritated red skin was soothed and her light cream fur had become growing in nicely. And as she healed, Pippa’s wonderful personality began to shine through even more. 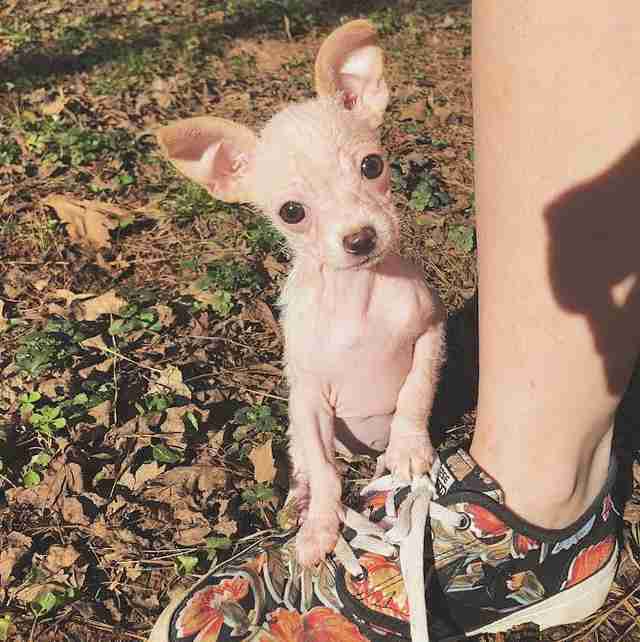 Like many Chihuahuas, Pippa proved to have quite a lion’s heart despite her tiny stature. 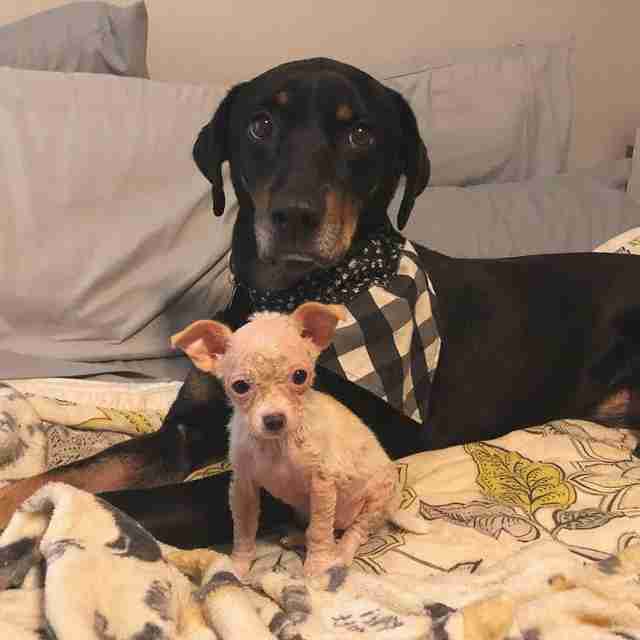 Her foster mom has two large dogs, the largest being an 80-pound pit bull. But Pippa didn't seem to mind one bit that she was so much smaller than them. Pippa also became quite popular among people who followed her journey on social media — so much that she found her forever family in the process. Terri Dickson and her family adopted the little pup earlier this month, and she’s already made such an impact in their lives. Pippa went home with the family shortly after, and is settling in so well. She luckily has already found a playmate in another family dog, and will never know again what it’s like to be uncomfortable. After all, she is already an expert snuggler. 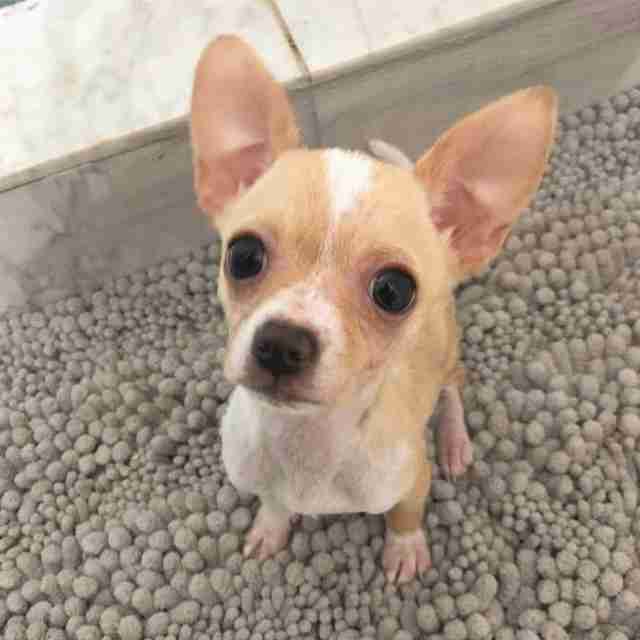 To keep up with Pippa’s adventures in her new home, you can follow her on Instagram. For information on Pippa’s adoptable family members, you can contact the Atlanta Humane Society.